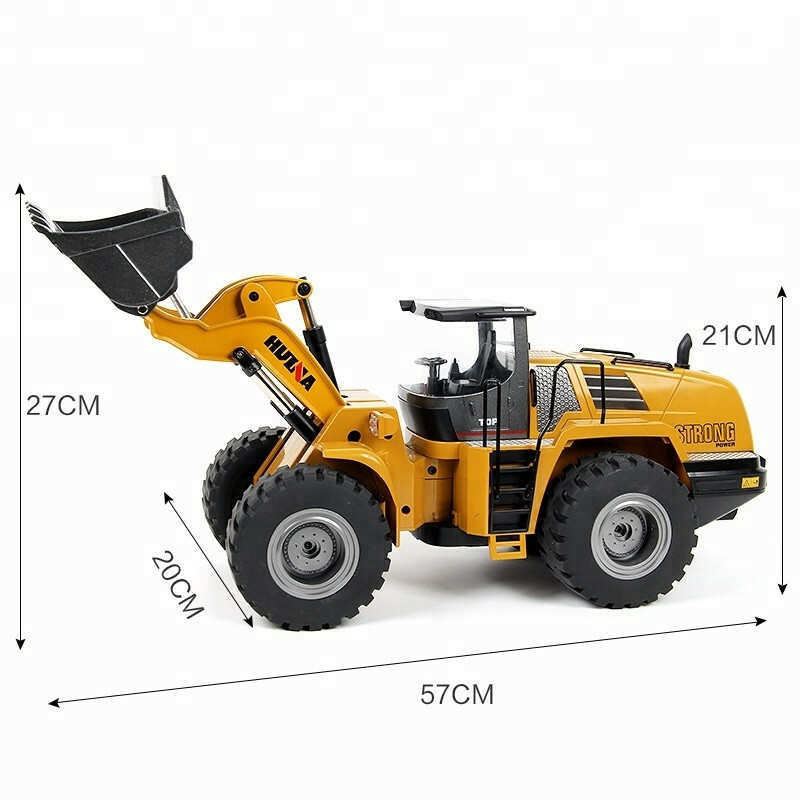 Until recently if you wanted to move up from a plastic to a metal bodied RC construction vehicle then your choice was restricted to the very expensive hydraulic operated models. 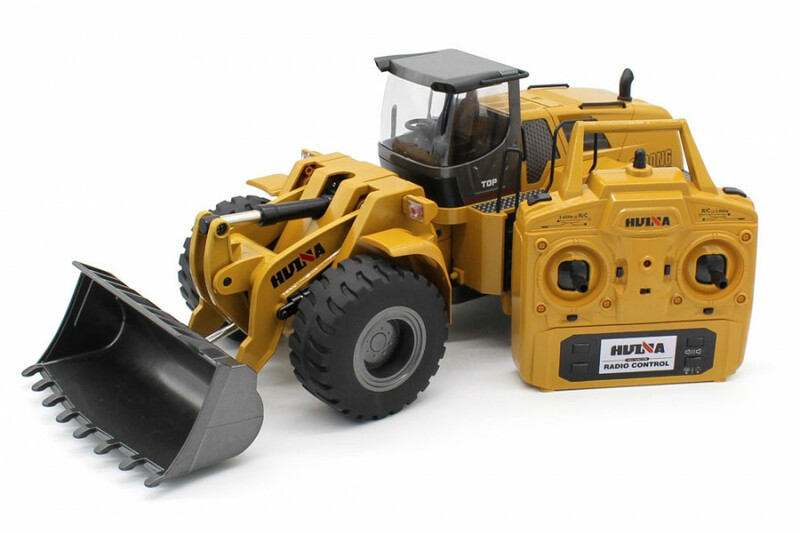 That is no longer the case with Huina now offering a range of rugged, diecast metal models at much more affordable prices. 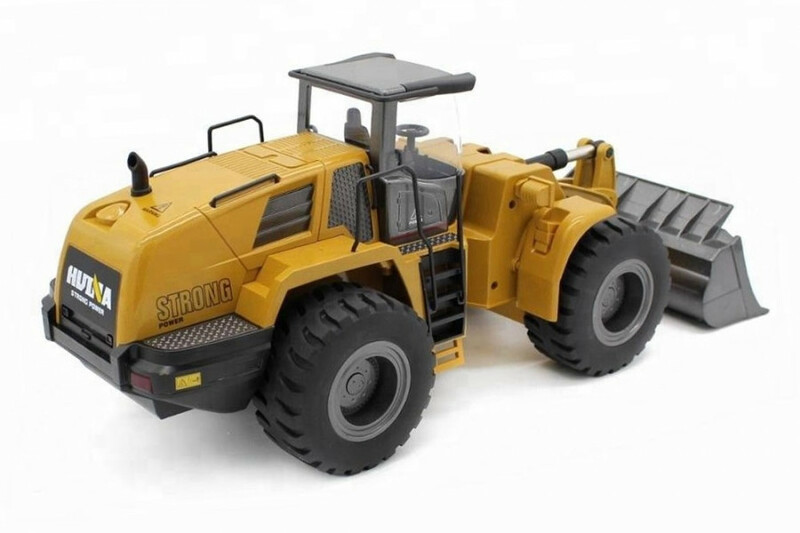 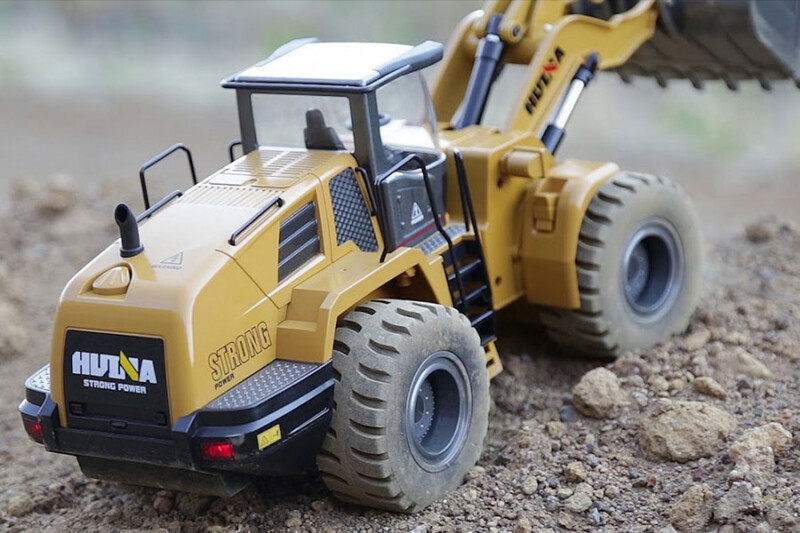 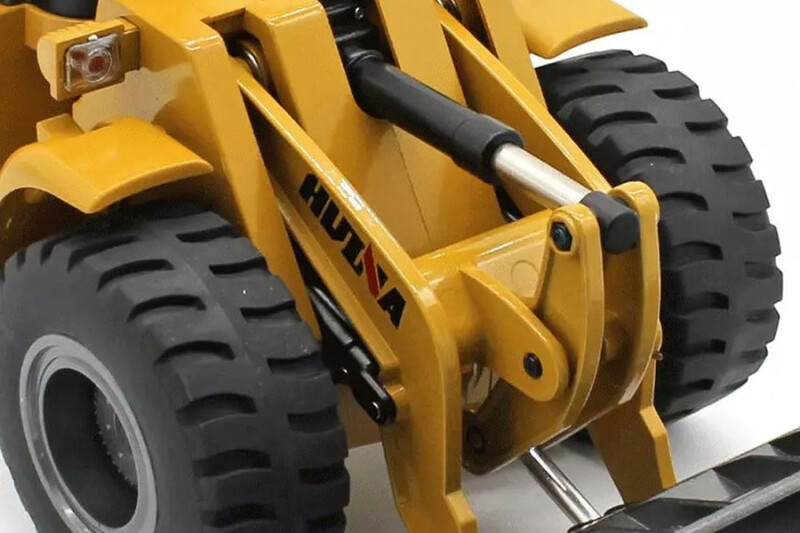 The Huina 583 Wheeled Loader Bulldozer is the ultimate in an RC construction model, made entirely of metal and complete with a whole host of amazing features. 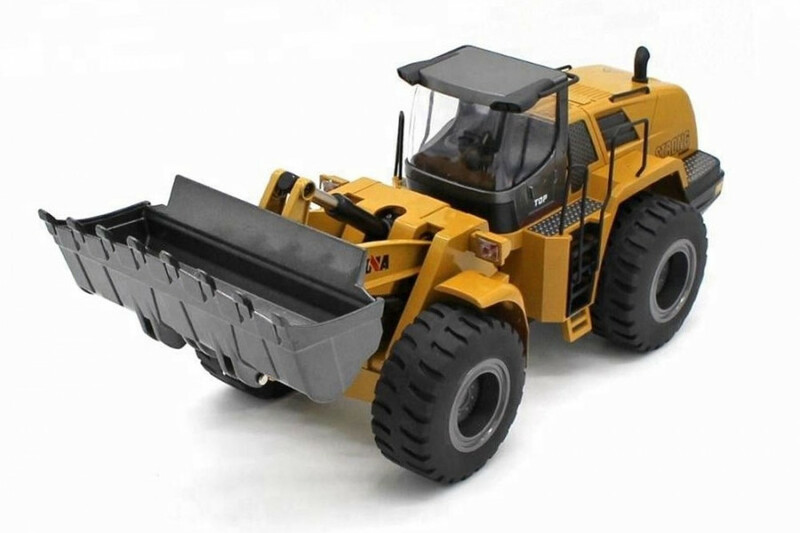 The 10 channel, diecast metal RC bulldozer bucket loader can move forward, backward, turn left, turn right with 360 degrees rotation. 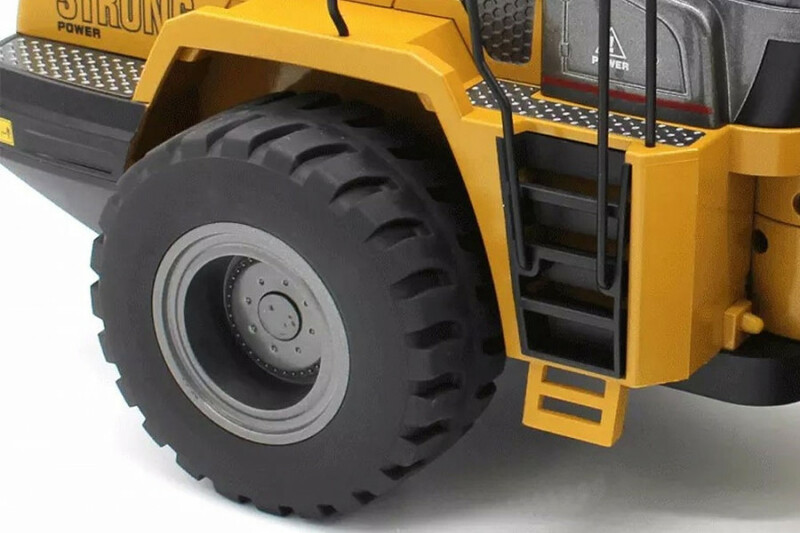 Each function and arm movement can be independently controlled and will perform work geometries comparable to a real loader. 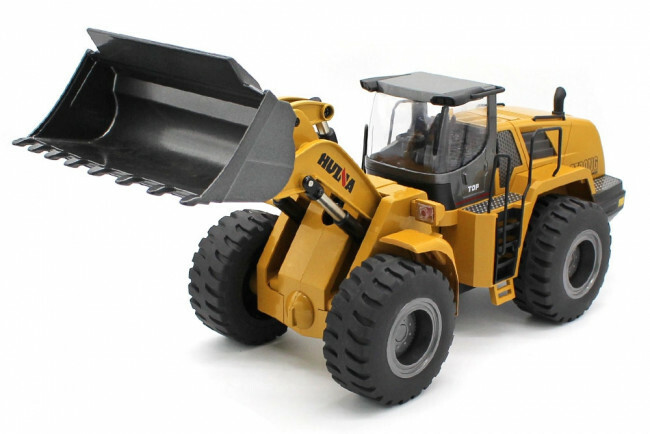 Sound and lights are incorporated for more scale realism. 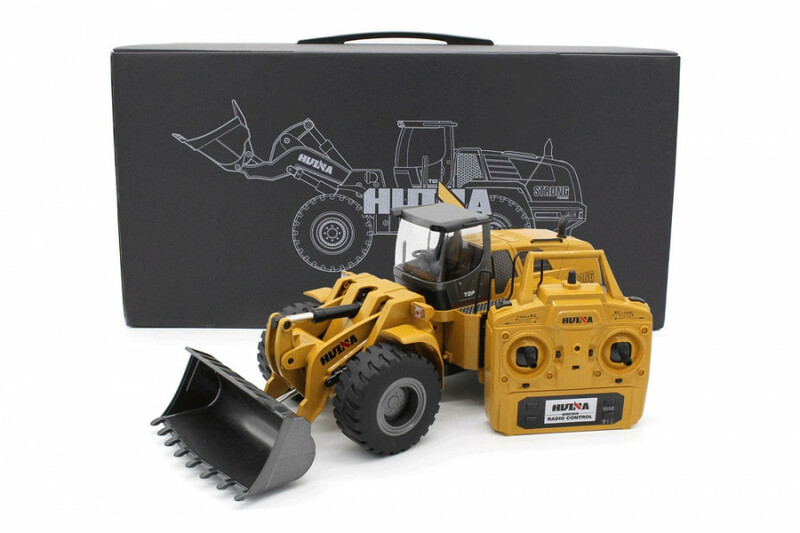 The 2.4GHz remote control uses 2 joysticks to control the basic functions and allows the use of multiple machines at the same time without interference.